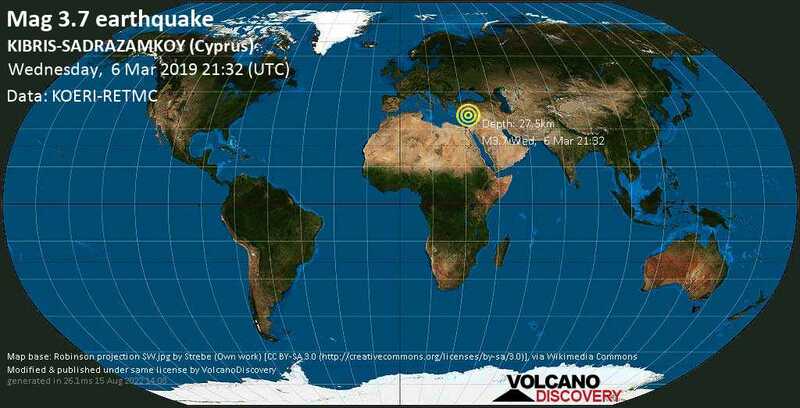 Mar 6 21:47: Magnitude recalculated from 3.6 to 3.7. Hypocenter depth recalculated from 63.7 to 27.5 km. Kankali ODtu / MMI II (Very weak shaking): I felt like my body shaking, but the objects in my room weren't shaking, i thought i was having a heart attack.